Developed by EverFi in partnership with Major League Baseball, new program helps students retain math and English skills while not in school. As a school-aged kid, the rites of summer include hanging out with friends, going to the movies, eating junk food, playing baseball, swimming, and the list goes on and on. One clear omission from that list is studying. Summertime is just about anything except school. Yet times are changing, and The Salvation Army is at the forefront of helping elementary school-aged children keep pace with their studies and learn about making good choices. And maybe the nicest part, it takes just minutes a day. The Salvation Army Digital Learning Program—in partnership with EverFi and through a grant from Target—is offering a pair of summer-learning programs at more than 200 centers across the country. The Summer Slugger program is a home run for fourth- and fifth-graders. Instead of sliding safely into home plate this summer, students in the 18-week program will slide safely into the next grade. According to EverFi, 75 percent of students in the U.S. do not participate in summer-learning programs. That results in 2.6 months of math skills being lost on average over the summer, and six weeks re-learning those skills when school begins again in the fall. It also contributes to a 66 percent income-based achievement gap by the beginning of high school. To combat those losses, Summer Slugger is an interactive online learning experience that prepares youth of all backgrounds to enter the next school year on track. 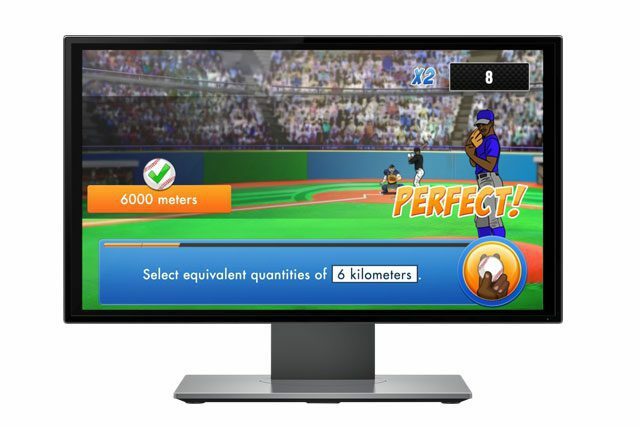 Students engage with content—including units of measure, place value, arithmetic, geometry, spelling, phonemic awareness, vocabulary and comprehension—that reinforces key foundational and procedural skills while enjoying the freedom and motivation of a baseball-themed, gamified learning experience. Hall of Famer and Chief Baseball Officer Joe Torre knows a thing or two about “summer slide,” more like “spring slide” for the former four-time World Series-winning manager of the New York Yankees. “We had this one thing that we always told the players: ‘If you don’t use it, you lose it,’” Torre told MLB.com. “They were sharp when the season ended, and the thing about playing baseball, and really about life, is that you want to learn something every day. And now, students can keep their minds sharp, too. And it only takes 20 minutes a week. “We are passionate about the Summer Slugger program,” said Alina Hamden, the Director of Global Partnerships at EverFi, noting that 201 Salvation Army centers are using it this summer across the nation. “With our partner, Major League Baseball, we can prepare students of all backgrounds to enter the school year prepared. Healthier Me, designed for first- through fourth-graders, is much the same—online, interactive and fun. And it’s aimed at another void in many school systems: health and wellness. Ninety-seven percent of elementary school teachers believe nutrition education is important, according to a Journal of Education and Practice article. Yet, there is little, if any, curriculum built around nutrition, and, meanwhile, schools’ physical-education programs continue to erode. That has created a double-edged sword, but Healthier Me is a way to help bring health-and-wellness education to students, especially young, formative minds. The health-related choices students learn to make when they’re young can have a lasting impact on their lifetime well-being, happiness, and academic success, yet 96 percent of elementary schools are unable to provide daily physical education, according to EverFi. Healthier Me is an innovative digital course that arms elementary school students with the tools to make healthy, informed decisions when it comes to nutrition and fitness. 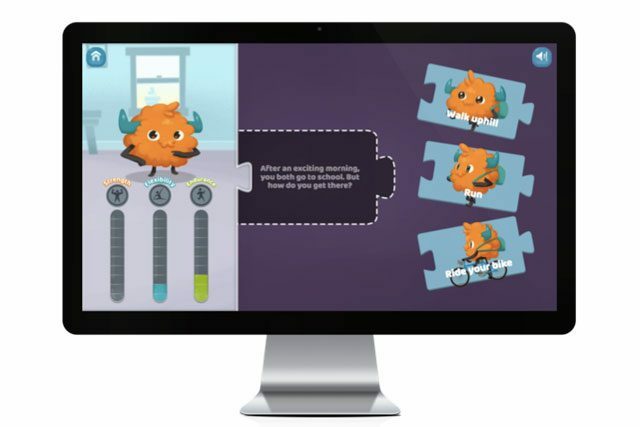 In Healthier Me, students embark on adventures through interactive games with a spunky monster sidekick named Chester. From choosing how to get to school to creating a well-balanced cafeteria lunch to learning the benefits of physical activity, students experiment with true-to-life scenarios to achieve positive wellness outcomes. Again, it takes less than 30 minutes, and was created to help even the youngest of elementary school students move through the program and flourish. Both programs are aligned to educational standards—Summer Slugger with Common Core and state standards, and Healthier Me with National Health Education Standards and USDA dietary guidelines. Is there material or a website to go to and look it over. How does The Salvation Army do the training (is it a class or do they give it to the parents)? I work with youth at The Salvation Army and would like to check it over (and possibly get something going next summer). Just need to check it out and get info on how to get started if we decide to try it! Looks interesting! It’s so great to hear that you are interested in learning more about this. You can go to https://summerslugger.com for more information.